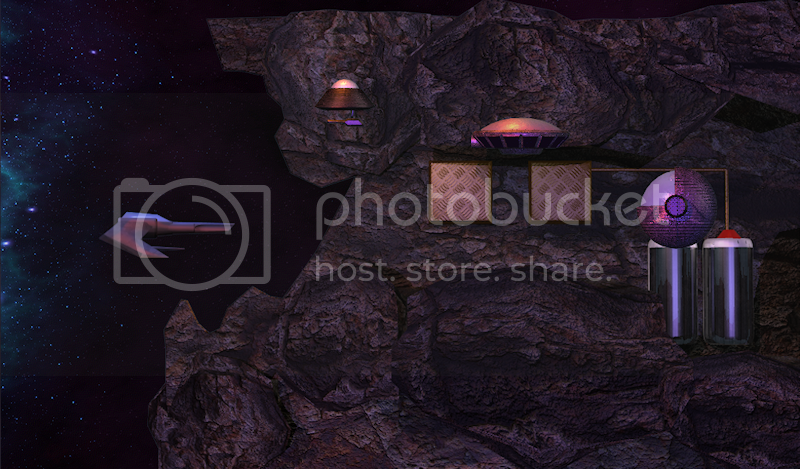 AppGameKit Showcase / WIP: Planet Okron - A horizontal space shooter by Hodgey and The Slayer. 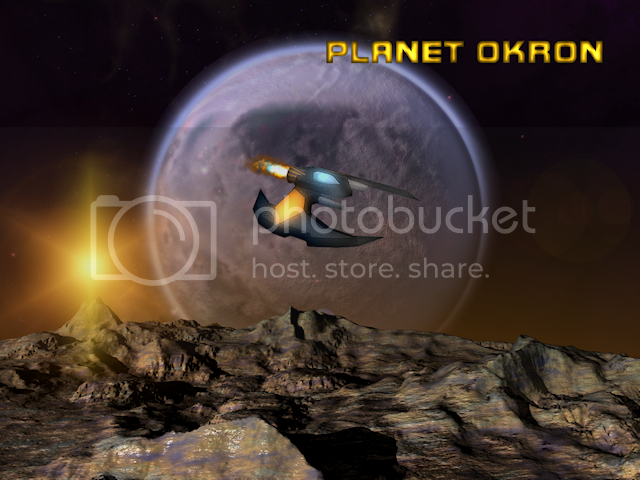 Hodgey and me are working together on a project made in AppGameKit, called 'Planet Okron'. It's a horizontal scrolling space shooter with lots of cool effects, level bosses, powerups, and also enemies. Heheheh. The year is 4071, and mankind has discovered ways and resources to make space crafts go much faster than the speed of light. These resources are hard to find here on Earth, and polution makes it harder for mankind to live a normal life. Scientists have discovered a planet quite simular to our world, named Okron, a planet that has a lot of the resources mankind needs to survive, including the matter that is needed for faster space travel. On the first mission to send vessels to land upon Planet Okron, an unknown alien race destroys the convoy. This alien race, named the 'Arati', is also highly interested in Planet Okron, and will attack anyone who stands in their way. And that's where the player (you) come in. Your mission is to destroy all Arati aliens and clear the path for mankind to land on Planet Okron. 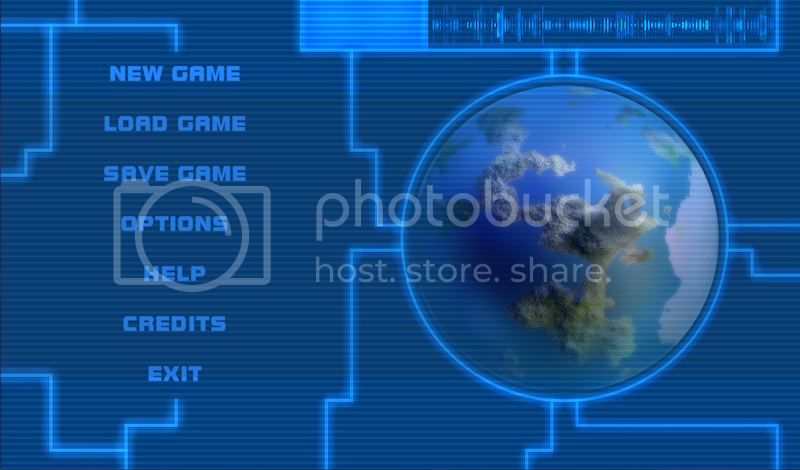 Hodgey is doing most of the coding so far, and I take care of the graphics, music and sounds. We plan on having up to 30 levels, level bosses, cool weapons, and make it lots of fun to play the game. The aim is also to make the program run on multiple devices/OS. Further progress will be added, so stay tuned. Thanks. All comments/suggestions are much appreciated. This is looking good. My judgement is always based on "I wish I'd thought of that"
Thanks to Hodgey for notifying me that this was here. Looking good fellas, graphics are looking great and I'm sure the gameplay will be just as exciting. Adam is doing a great job on the coding. So, the gameplay will be great too. I help with programming here and there, but will mainly focus on the graphics and sound design. We have some great ideas on enemies and gameplay, and we will do our very best to implement all these features in our game. Graphics look amazing! Nice job! Looking really good. Has that old school 3d feel with the pre-rendered media, which is what I love. Your a Truespacer too right? Curious how your constructing your levels. Are you pre-renderings large sections, the whole level or prefabs then stitching them together? Thanks for all of the great feedback guys. We're working hard on getting that demo ready. Quote: "Curious how your constructing your levels. Are you pre-renderings large sections, the whole level or prefabs then stitching them together?" We need to use the latter. AppGameKit has a limitation on some devices as to how large an image can be when loaded (if you have a netbook, try it). If it exceeds this size (1024x1024) then it simply becomes a 'white sprite'. So we need to break all of the images up which probably helps memory and processing wise but it's just a little bit more work for us. Quote: "Has that old school 3d feel with the pre-rendered media, which is what I love. Your a Truespacer too right? " That's the look we're going for. The game assets (player, enemies, environment, etc...) will be mostly pre-rendered. And yes yes, I'm a Truespacer too. It's still a great program to work with. Actually, I'm working on a tutorial for Truespace. For the background, there's a limitation bug, as Hodgey explained very well , so we're stitching teh levels together with prefabs. Here's a small update. It's just the introscreen. Sorry for the bump, but just letting you all know that this project is still progressing. Hodgey is working hard on getting the first demo ready, so be patient a little longer. Thanks. Hey guys, The Slayer is now making a few final touches and so it will be available very soon. Current controls, arrowkeys to move, spacebar to fire. Have fun with the demo guys! Constructive critism welcome. Hey guys, here's the demo you've all been waiting for. There's a lot more that will be added, but we'd like you guys to test the game so far, and give us your opinion to make it better. So, Hodgey and me, we're hoping that you'll enjoy the demo, and we look forward to hear your opinions/comments so that we can take this game to a higher level. Thanks. Note: the download is 18,3 MB. Thanks for the feedback Funnell7, I'm glad you like it. The 'white box' problem seems to occur on certain graphics chips with certain sized images. The latest build is attached to this post and should fix the white box problem. Here's your update. Really nice guys! The graphics are great (particularly love the ship exhaust). Game-play is addictive and the music's cool too. We appreciate the feedback, everyone. Thanks for that. Quote: "Looking forward to getting some pickups and extra weapons to try out"
We're working on all those features, and should be able to get another demo out asap. So, stay tuned. Glad I stumbled on this. Looks really good. That intro screen looks really well polished. 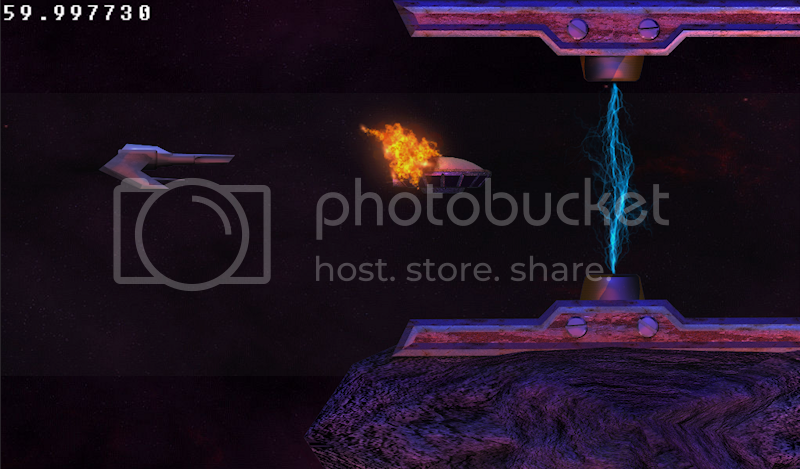 I also like what Phaelax called "the lightning beam thingy" and I love the main menu, it's first class! The main menu is something so easily overlooked in smaller independent projects so it's nice to see such professional looking graphics! Quote: "I love the main menu, it's first class!" The Slayer works magic with graphics, it's unbelieveable! Thanks for the comment nonZero! I'm working on getting the lightning beam thingy into the levels. Looking good guys, I also like the style of the menu. Everything runs nice and smooth as well. Nice work! Glad to hear such great comments, everyone. I always try to make my graphics as good as possible. However, only good graphics doesn't make a great game, and that's where Hodgey comes in. He's a great friend and equal partner to work with. And, good teamwork is essential to make great games. Hodgey is working hard to get more coool features in the game, and I'm working on new graphics to spice it up, so...stay tuned. Thanks. Hi guys, how's this project going? Not seen an update in awhile. Either the project has gone into what I call, backseat mode, or you are hiding it away! Any news or updates? Quote: "Hi guys, how's this project going? Not seen an update in awhile. Either the project has gone into what I call, backseat mode, or you are hiding it away! Any news or updates?" Hi DVader, thanks for showing an interest! Unfortunately, this has gone into backseat mode, mainly because I've started uni and that is taking up most of my time. I will say this though, Chris and I do plan on finishing the project. I have a month's holiday starting sometime in July so hopefully at that point, we'll be able to get the bulk of the project done. Ah I see, thought it may be that. My project Obliterator has had it's moments also, with months of inactivity. Mainly due to the artist being temperamental, and as I can't match the graphics he did very well, have almost wrote it off completely once or twice. He popped over last week and was very enthusiastic(but also rather drunk), but as ever no signs of activity again (unless he's keeping quiet and doing loads of stuff, which I doubt). Quote: "I will say this though, Chris and I do plan on finishing the project." 0 is technically not a number, it's a call to an infinite loop in the Matrix source code. There cannot be 0 units of anything as those units don't exist then (there are no units). So, by it's own definition 0 is "nothing"
But by giving "nothing" a name, we make it something. Therefore "nothing" is not nothing, but rather something. But then an absence of something and nothing (ie absence of everything) is what? Yeah, sorry for not informing you guys about our project. As Hodgey said, it's been on the backseat and not on the drivers seat. But, it's still on our to do list, so we'll let you know how it goes. Thanks for the interest, guys! Btw, DVader, how was the fireball spritesheet I've sent you? ? Need any more of those? Oh you sent something? Not received any mail off you at all that I can see. Perhaps it didn't reach me? Didn't want to pester you about it though. Yep, just checked. I answered your email and added the spritesheet. Want me to send it again? ? Of course Thanks. I'll reply when I get it. If not I'll mail you again in a day or so. Wow very nice guys! The game looks awesome! I see a lot of potential with this game. Keep up the good work guys!